The Glen Lake Lakers beat the Manton Rangers 49-29 during the district semifinal game at Glen Lake Community Schools on Wednesday night. 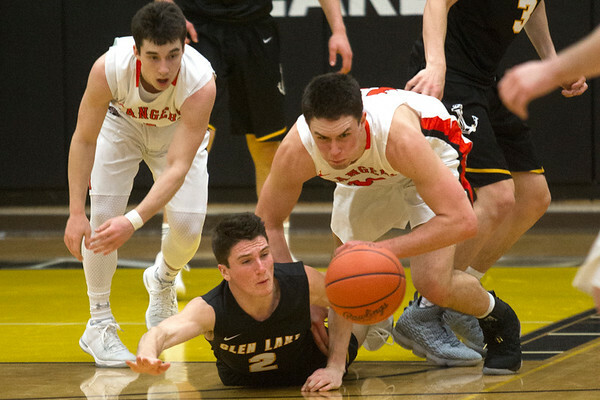 Glen Lake's Peyton McDonough (2) dives for the ball with Manton's Jayden Perry (1) and Ethan Ancick (12) during the third quarter of the district semifinal game at Glen Lake Community Schools on Wednesday night. The Lakers beat the Rangers 49-29.